6 panel cotton twill cap. Pre-curved visor. Adjustable hook and loop strap. One size fits all. 6 panel cotton twill cap / hat. Pre-curved visor. Adjustable hook and loop strap. One size fits all. Be one of the first 10 people to ask Ken for a hat at the Train Shows Broadway Limited Imports attends and he'll give you one free! Check here for the show schedule. 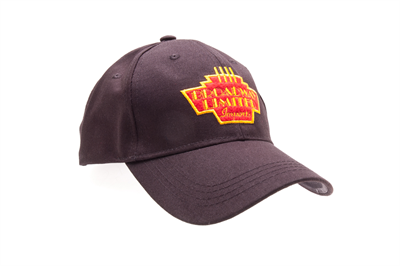 Limit 1 free hat per customer / per family.